Your credit card will only be charged once after your order ships. If you just placed your order, what you are seeing on your bank account is an authorization. This is a common bank practice handling credit card transactions to ensure sufficient funds and account authenticity. This authorization will clear (depending on your bank, usually within (48–72 hours). If you need help speeding up the process, you can contact the issuing bank of your credit card. Please only click the “Place Order” button once to avoid multiple authorizations. If you continue to receive error messages, please contact Customer Care at: hello@shoplifeangels.com. We are unable to cancel orders once placed. If you need to make a size modification please email us immediately hello@shoplifeangels.com. We generally process orders in stock items immediately, and once our warehouse has processed your order, we will be unable to make any changes. CAN I ADD ANOTHER ITEM TO AN ALREADY PLACED ORDER? Unfortunately we cannot add items to an existing order. Please place a new order for the item and email us. We’ll be happy to waive shipping on this additional order if it was placed within 24 hours of the original order. Once we have received your package, your request will be processed within 5 business days of your item being delivered back to us. You will be notified via email at the address listed on your account when this transaction has taken place. Most orders ship within 5 business days of purchase. Shipping times may vary due to availability of merchandise. Orders are not shipped on the weekends or holidays. Items purchased with discount codes ship with 3 weeks from purchase date. Please notate that delayed shipping times will be indicated in the product description. Sale items are not combinable with any other codes or discounts. Orders that have used codes will null and void free item! As soon as your order ships, you will receive an email confirmation to the email address you entered on your order. If for some reason, you did not receive an email, please check your spam folder and add hello@shoplifeangels.com to your safe sender list. 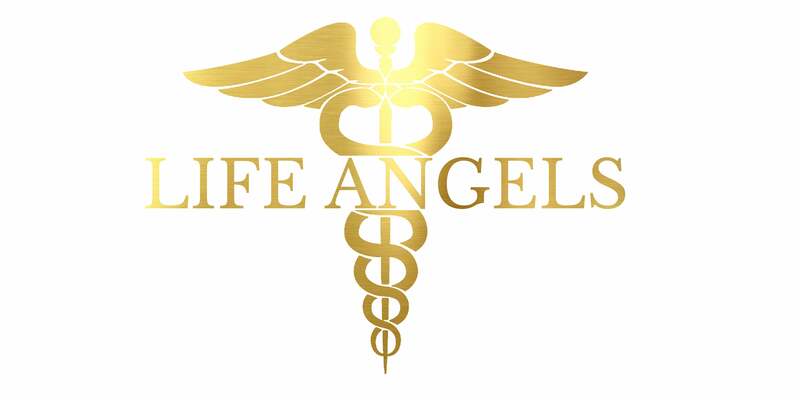 If you refuse a shipment from Life Angels, you are responsible for the original shipping charges, any import fees, duties and/or taxes that are incurred on the package, and the cost of returning the package to Life Angels. This amount will be deducted from your merchandise refund. In the instance that the return fee exceeds the amount of the merchandise plus shipping costs, the package will be abandoned and you will not be refunded.